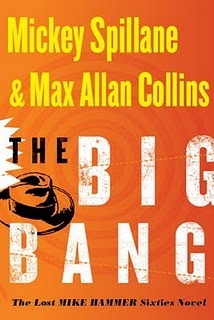 I listen to a lot of audiobooks and I was very happy to recently run across the audiobook version of The Big Bang at my local library. The novel is excellently performed by Stacy Keach. Listening to him made me really want to check out the old Hammer tv show, starring Keach. He has just the right amount of tough guy growl for Mike Hammer and does a pretty good job characterizing the other players in the book. The Big Bang has been reviewed a million times all over the web so I’ll avoid the usual background about the origins of the novel. I must, however, comment that Collins’ work on the novel was just excellent. It felt like 100% Spillane to me from start to finish. If anything, Collins brings a welcome tightening of the writing and pace of the story. One of my only criticisms of Spillane’s original Hammer novels is that they can be slow in spots and the writing is, at times, rather clunky. Doesn’t matter to me though because I don’t read Spillane hoping for the artistry of Chandler. I read it because Mike Hammer and the instant justice dispensed by his .45 are a breath of fresh air. Why do I say that? Not because I’m an advocate of vigilante justice in real life or because I think that society should regress and re-adopt those bad aspects of our culture which have been thankfully shed since the 50s and 60s. Rather, I’ll go on record saying that I think the feminization of society is, on the whole, a bad thing and that there still should be a place in today’s world for a man’s man, both in real life and in entertainment. James Bond, Dirty Harry, Mike Hammer – gone. Replaced by emotionally conflicted action heroes like Jason Bourne or, worse, with sensitive and smartly dressed vampires that prefer to romance the ladies rather than drink their blood. Will the world survive when Clint Eastwood dies? I’m not so sure. Maybe Ted Nugent will keep things on track. Anyway, back to The Big Bang. 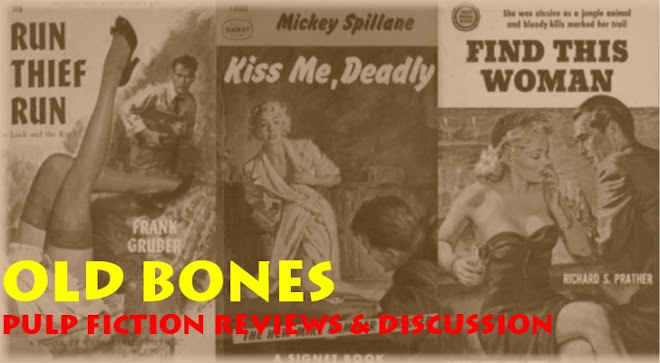 It’s a classic Hammer tale involving drugs, dames, mafiosos and wanna-be criminal masterminds. The plot is simple with the usual interview type scenes spliced with the occasional eruption of violence. And boy, does it erupt. The most interesting part of the story, to me, is that the scheme Hammer ultimately reveals forces him into making a difficult and disturbing decision. Is there a grey area for Mike Hammer? How far would he go to fight the ever increasing scourge of drugs? At what point does the end no longer justify the means? The ending of the Big Bang may have been meant to answer those questions, but I prefer to think of it as being somewhat ambiguous as to Hammer’s ultimate decisions. Does this mean that I’m not actually committed to the Hammer vision, but prefer my action heroes to be the conflicted type? Well, I hope not. I do know that all those metrosexuals out there would benefit from throwing in a copy of The Big Bang audiobook instead of the latest Jack Johnson cd. YAH!! This is amazing and inspirational message for me.